A committee appointed by Somaliland government to combat and prosecute all those that are responsible for acts of piracy off the coast of Somaliland had their first meeting today [6 September 2011] in Hargeisa, the capital. This committee which included the Ministry of Foreign Affairs, Ministry of Interior, Ministry of Justice, Somaliland Coastal Guards as well as independent attorneys of law, met at Ambassador Hotel to converse on how the government and people of Somaliland will battle the piracy of the coast of Somaliland. Dr. Mohamed Abdullahi Omar Minister of Foreign Affairs and a member of the committee in the fight against piracy addressed the press at meeting and said “the responsibility of the committee is to look back and examine the possibilities on how Somaliland can co-operate with the international committees as well as taking part in playing a vital role in the fight against piracy. 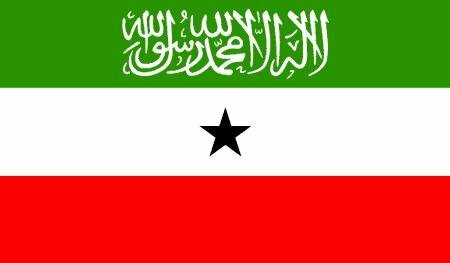 I’m hoping that this endeavor will contribute to the peace and stability of Somaliland. The purpose for the meeting of the committee here today [6 September 2011], is to look at the necessary and appropriate actions of Somaliland with regards to this issue. Dr. Omar, briefly spoke about current Pirates serving time in Somaliland jails after being caught by the authorities for piracy within the countries shores as he said “as you are aware of, Somaliland is one of the countries that vigorously fights back any attempts of piracy within its seas”. The minister also spoke about countries and international organizations Somaliland is currently co-operating with when he said “ Somaliland is and has been collaborating with The United Nations Office on Drugs and Crime (UNODC) and The Intergovernmental Authority on Development (IGAD) which consists of few east African countries working together to combat piracy. The committee which has been recently appointed by the president of the Rep. of Somaliland Ahmed Mohamed Siilanyo’s main goal is to enlighten the world Somaliland’s fight against piracy.